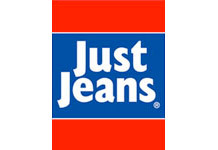 This is the lowest price seen on this item at Just Jeans in the last 3 months! With nearly 50 years in business, Australian outfitter Just Jeans know their denim – and with nearly 50 retail outlets in New Zealand, they know Kiwi style, too. Their online store has even more extensive selections and limited offers on the latest men’s and women’s jeans from their high quality house label and famous designer brands like Levi’s, Riders by Lee, Mavi, Calvin Klein Jeans, Guess, NYDJ, True Religion, 7 For All Mankind and Wrangler. Plus a complete range of kids’ jeans, as well as non-denim options such as tees, chinos, print dresses and accessories.